The reflective Muslim, I maintain, is capable of satisfying the constraints associated with the Jamesian account of faith. That is, if the reflective Muslim has a passionally caused belief in the existence of God that decides a genuine option, and if the passional cause of the belief and its contents are morally acceptable, then believing beyond the evidence seems justified. There are also good reasons to think that the Jamesian account can be welcomed within the tradition of Islamic theism. Firstly, the Jamesian account allows us to interpret al-Ghazālī’s resolution of his crisis in a way that is philosophically and theologically viable. To recall, al-Ghazālī’s account of faith focuses on achieving certainty; however, the demand for certainty, we observed, ran counter to his acceptance of the limitations of human cognition and also ran the risk of cognitive idolatry. A Jamesian reading of al-Ghazālī’s resolution involves shifting our focus away from the demand for certainty. 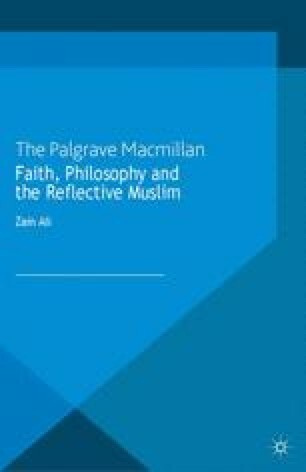 The Jamesian reading interprets al-Ghazālī’s illumination experience as involving a passional cause of belief, and it is the passionally caused belief which helps resolve the question of whether human reason is trustworthy. This interpretation can also be seen as providing a reading of al-Ghazālī’s resolution of scepticism. The resolution is not predicated on the achievement of certainty, or the elimination of doubt; rather, it is a resolution at the level of practical commitment. I do not feel obligated to believe that the same God who has endowed us with sense, reason and intellect has intended us to forgo their use.